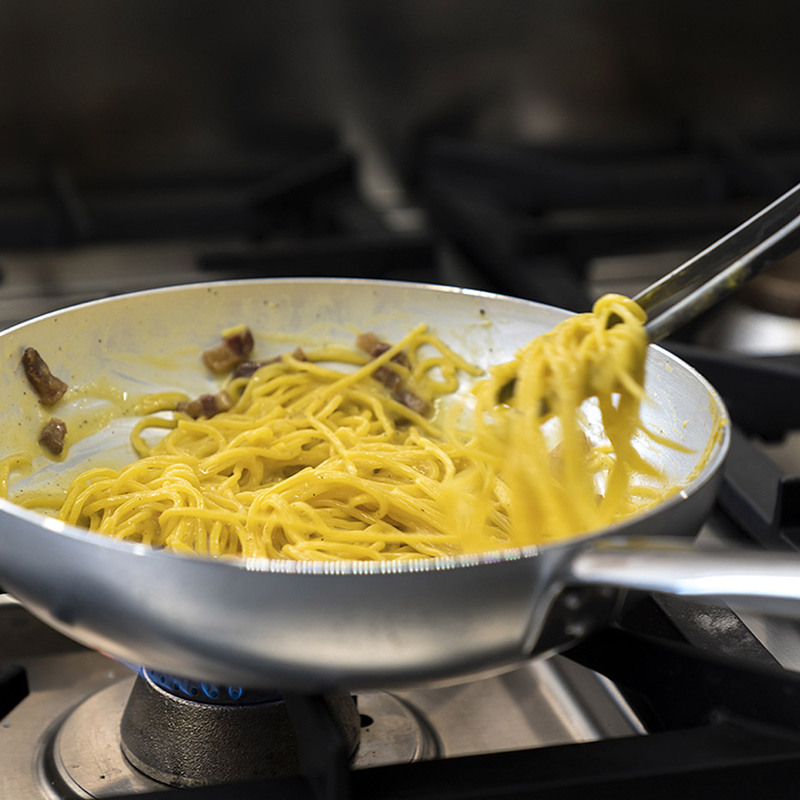 thanks to the short cooking time of the fresh pasta which is produced on site every morning. 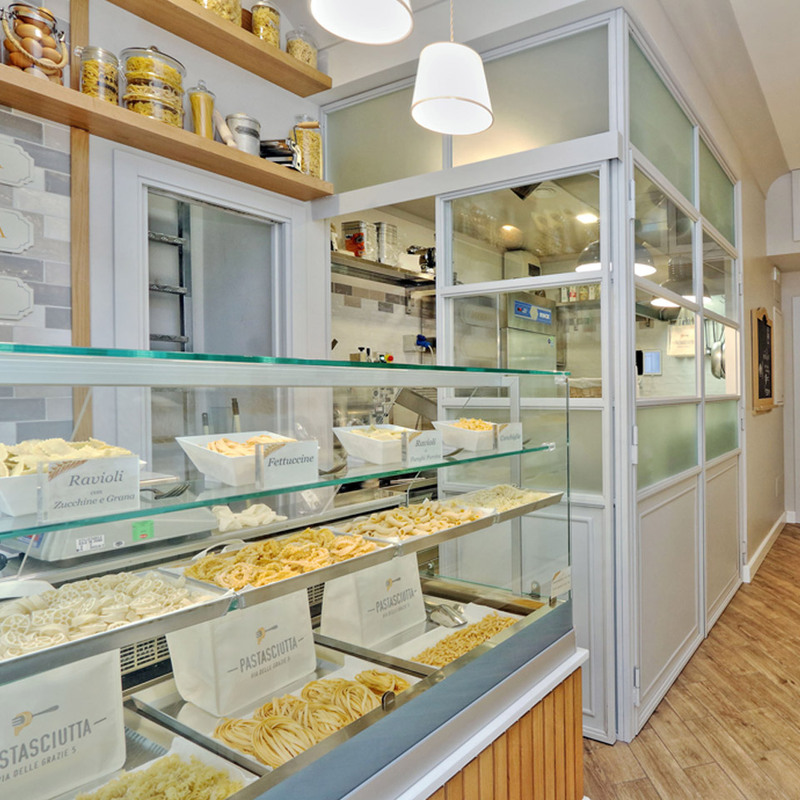 Pastasciutta stores are homely, designed with attention to details, and with the production laboratory of fresh pasta and the kitchen in plain sight. You can see the chef preparing your meal or watch how fresh pasta is produced, a peculiar experience at the heart of italian artisan tradition. 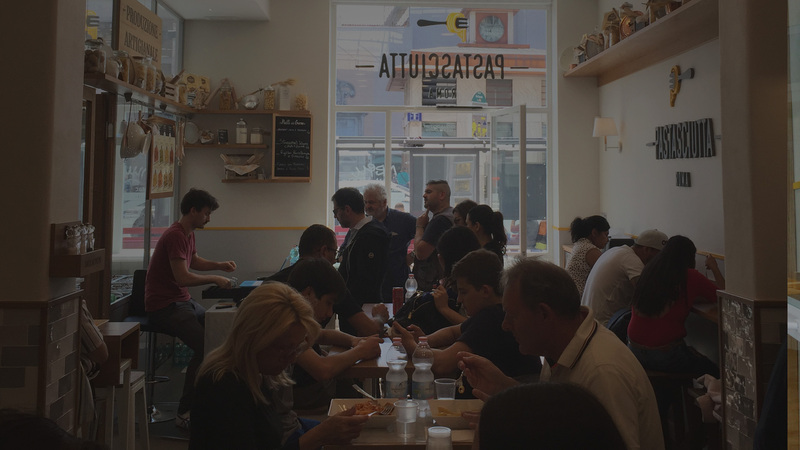 selected durum wheat and flour, fresh italian eggs, water, salt and all of our passion! Because our aim is to give you a healthy, genuine and high value product. 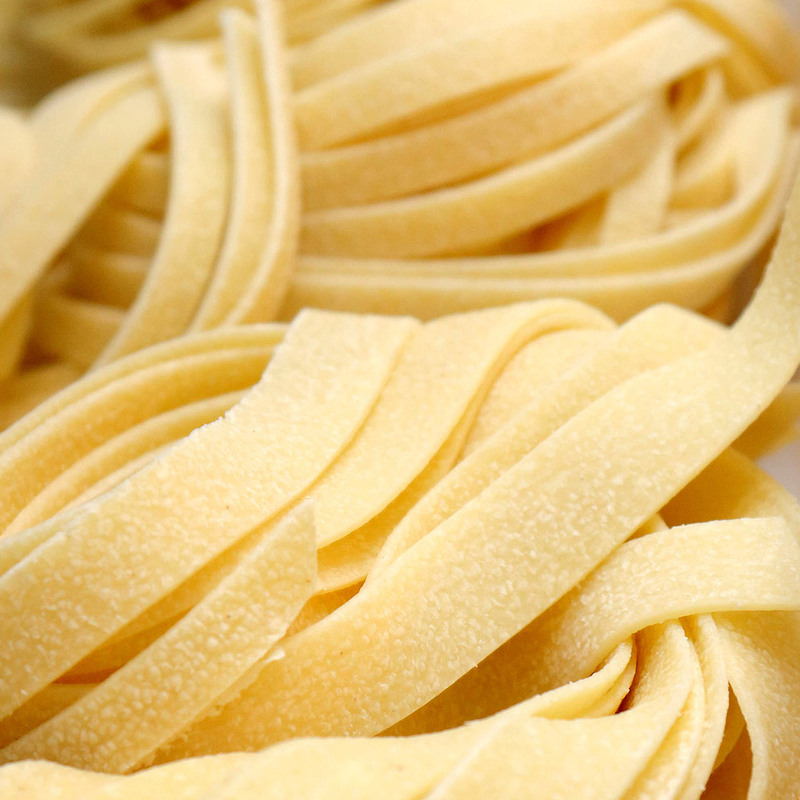 Fresh pasta, differently from dry pasta, contains a little percentage of water, this is why it needs a very short boiling time. So that’s why between the boiling time, the cooking in the pan with the choosen sauce and the moment in which you can have your meal you won’t wait more than a few minutes. 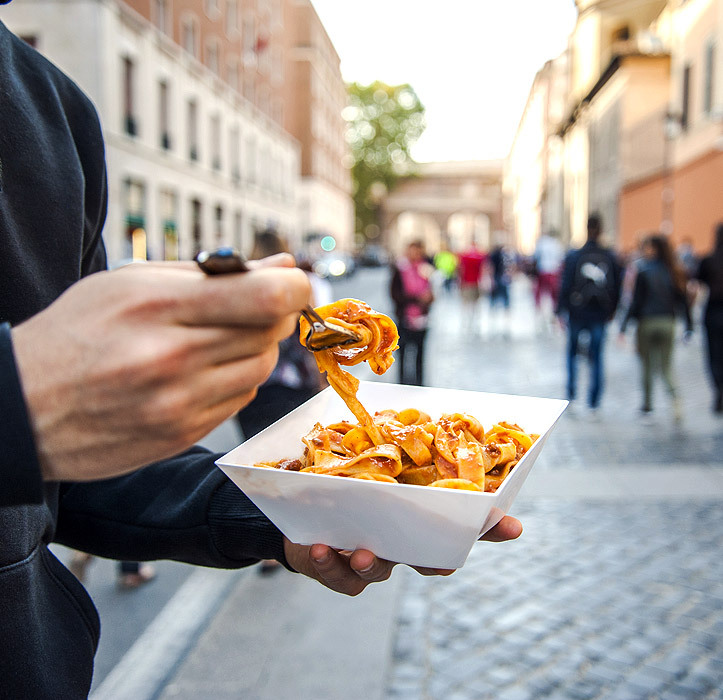 Eat inside at the table or take it away with you. 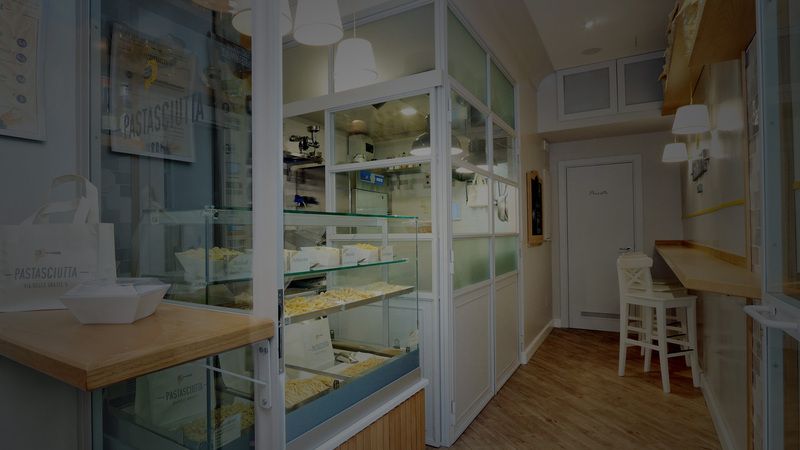 You can have your meal inside our restaurant, but if you want to continue with your walk around Rome, or you just want to take away your meal with you, we will provide you with everything you need about that. A small and cosy venue, just a few steps away from St. Peter, open everyday, also on week-ends and bank-holydays, from 10:30 to 18:30. 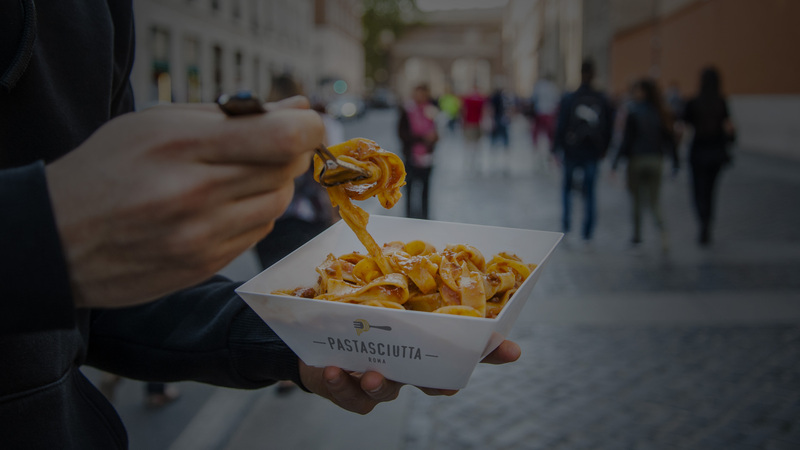 The new Pastasciutta gem, with a lot of space and tables where you can enjoy your fresh pasta, just in front of Piazza del Popolo, open everyday, also on week-ends and bank-holydays, from 11:00 to 22:30. Our best meals are always on the menu, but we also offer several “dishes of the day”, choosen on the basis of seasonality and on our chef’s inspiration, just like our Ravioli which are very appreciated by all of our customers. This is a selection of pictures from both our venues in Rome, go to the pages of each venue to discover more and follow us on the social networks! Pastasciutta Roma on the social network!